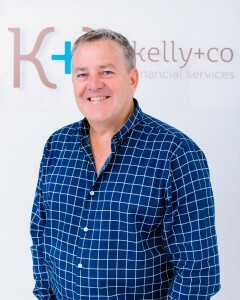 With over 20 years of corporate leadership and management experience behind him, Leon decided to bring his exceptional skill set to further support the development of Kelly & Co Finance. Leon’s role as Training and Development Manager is strengthened by his ability to lead people to the self-realisation of their inherent skills and talents, helping them to break down their professional development into achievable milestones and tangible results. A firm believer in the power of a healthy work life balance, his philosophy centers around the premise that happy people give rise to productive workplaces. This empowering leadership style translates into a cohesive team that comes together with a common goal – to ensure that a caring approach to each and every client sees the best possible outcomes achieved. Leon believes there is nothing better than feeling the joy of people securing their dreams, which is exactly what makes the Kelly and Co team so unique. “What is – is!” What he takes from this quote is the concept that you can’t change what is, so accept it, move on and work toward positive outcomes. “Seek first to understand, then move to be understood,” which he explains in the context of a coaching sense; if you don’t understand what the motivators and hot buttons are for your audience, then how do you ever expect to connect in the first instance, but more importantly have a credible partnership with the audience. When he’s not motivating his team at work, Leon enjoys escaping to his farm, snow skiing or adventuring to destinations such as New York and Byron Bay. A dedicated dog owner, Leon’s number one joy in life is hanging with his wife Lindy Kelly, his sons and their friends.